I greet you beloved family. I reach out from my heart to yours. I reach out to embrace you in this now moment. Welcome to our time together. Welcome to this opportunity to allow my energies to come into your space as you also come up into mine. The All That Is is a place of alignment. It’s a vibrational dimension that gives people the opportunity to get to know who they are, both as their soul and in this current lifetime. So too it is a place where you can practice potentials. As you practice these potentials it may be that it helps you to decide that you may want to go with this pattern; I want to take this pathway; perhaps I don’t want to do anything and I want something else completely different. Here is an opportunity for you to first and foremost know the love, the honor, the respect that is yours both from I the Goddess and God, but more importantly from your own Divinity; which is you as your Soul, which is you in the many, many lifetimes that have created you. Which is you going all the way back to the source which is the Central Spiritual Sun. There is a great transformation taking place upon the Earth. This transformation has got to move through humanity in such a way that it helps each individual person, which in turn helps humanity as a whole. Give yourself this gift of love. Give yourself this opportunity to know who you. Receive the unconditional love of Source. As I send that vibration into you allow yourself to just feel wave upon wave of energy and light as it moves through you. Here you are, be open to receive. Take in a deep breath and as you breathe down feel your energies as you not only center within yourself and in your heart, but breathe all the way down and into the Earth. Your alignment with the earth is essential in these days of transformation. It is Gaia who not only keeps you grounded, but also that gives you that nurturing support of the Earth’s energies. So too your infusion of the high, light vibration with which we work with in these meditations nurtures Gaia in a way that is also equally supportive. As you feel yourself in that flow of the energy and the movement, feel how it is also bringing your center and your focus within you. You then release that consciousness. You allow it to stream upwards. As it moves up through the top of your head you easily align with the energies of your Higher Self. Here within these energies look around. You come into this space constantly. It is therefore set up to support you and frequently your guides will be within this space awaiting you. If you do have any clutter within. ~whew~ clear it out so that you may have a more clear and concise ability to listen to your intuition, or listen to the insights from that your Higher Self. You then allow your consciousness to move out further. It follows that thread of energy until it moves up aligning with your own Divinity; with your I AM presence. Because we have done this over and over for so very long almost every one of you almost immediately feels this alignment. However, it can change and transform, sometimes depending on your consciousness. Other times realizing that you now take in and understand a greater amount of what you are merging with. Allow that open flow that lets you move into the space. You may see or sense or you may feel the energies. Understand that no matter what your conscious human focus is that you are deeply merged and deeply aligned with your Divinity at this time. There we go. As I said that I could feel even more of you opening up and a wave of energy wash through. I the Goddess walk in and amongst each one of you. I reach out to embrace you, you as your divinity, you from your human aspect; illuminating all of who you are so that we may merge into the All That Is. As you feel your energies shifting into this space look around. You may have that sense of knowing who you are and what is here around you. You may also feel that essence of the many things through which you are working upon. By this I mean some of your potentials that are happening upon the Earth right now, some of the potentials that you are as yet unaware; some of those potentials that you tried out and thought they were not for me. Here is the space for you. I want you to simply be aware of what is here. However, I still also want you to clear your energy so that you may have greater clarity for our experience this evening. I invite you to take a deep breath in and as you breathe in the energy and light that is within this space you are breathing in a high, light vibration. There is a Hologram you may say that is you that begins in about the 6th and 7th dimension and moves up. This is directly from your I AM presence. This is the you that you have been creating through all of this transformation. Now if someone is listening to this for the very first time. If some of you are listening to this several years down that road, you are here in the exact moment that you need too and whether you are conscious or unconscious about it you have been moving through a transformation. Here within the All That Is we create from a heart centered reality. You as both your higher self and as your divinity have created a bridge that opens you to more of the love, the light, the vibration, the experiences from you as your I AM or your God Source. All of those bits and pieces have been creating a Hologram of you. So, with your inner eyes, or with your senses, I invite you to open up and it is as if you are looking at yourself; you may look completely the same however there are some very distinct yet subtle changes. Within this Hologram that is you, you have infused the many characteristics that you have been working towards. Sometimes it might be good health. Sometimes it might be a change in your weight. Sometimes it might be a different openness. Whatever it is that you have been seeking to have within your life a great deal of that is right in front of you in this hologram that is you. Take a moment to ask a question if you would like. This question can be whatever it is that you have been seeking most to transform. This Hologram is you in the future. It is you as the higher dimension therefore ask a question. I heard some of you saying how soon will I be living this reality? I heard other people saying how do we get from point A to point B? I heard others asking about different things that are happening within their lives and when would that finish? These Holograms represent you as that higher vibration, and that vibration and that energy is able to become your physical everyday reality as the vibration around you in the earth plane is in alignment. You guys make me laugh. As soon as I said that I heard some people say then some people say that’s 20 years down the road, or that will never happen, or I’m stuck. Ha ha. Be not concerned. As you get to know yourself in this manner, as if you were talking face to face with you, you will become more in alignment just naturally and the hologram of you that you have been creating; this self, this reality that you have been creating is so much closer than what you realize. You are blending into these energies all the time. Many of you do it directly through your meditations. Many of you do it unconsciously or in your dream state. This is the new reality that is you. As you experience these energies, as you experience yourself; have a specific intention that you from your complete consciousness reach out to this hologram and everything that is needed in this now moment reaches out in alignment with you so as to merge. I invite you to be open to receive as if you open up your consciousness, your thoughts, your beliefs, as if you open up your heart and allow this as aspect that is you to blend fully within your conscious reality. I see all of you merging, blending and aligning. As you do so there’s a wave upon wave of energy and light that moves through you. Some of this feels exactly like you. This is what helps you to understand how much you are already in alignment with these energies. Anything that feels a little bit different I invite you just breathe gently and easily allowing yourself to clear out and let go anything at all that no longer serves you. ~whew~ let that go. Feel yourself. Look around because you are more than what you realize. You are integrating at a deep, deep, deep level as we speak. For some of you as you completely merged with this hologram of your new reality I could feel that you were still holding on to some of the old patterns. There is comfort in what you know. Therefore you keep holding on while at the same time you are saying I want change, I want change, please bring me change. I ask you to be very honest with yourself in this now moment. Those ruts; that with which you are comfortable; are you truly ready to release it or does it still serve you in some way? Maybe it is that you need to transform more of those energies before it was ready to be fully cleared. Maybe that’s why you’ve been holding on to it. However, maybe it’s just your ego and your ego like what it knows. So moving down into your ego, moving down to every level within you, ~whew~ clear it out. Clear out the past. Clear out the habits. Clear out the fears, the anxieties, whatever it may be that is holding you back. Again, take a moment to understand you the person you are and that hologram that you just recently integrated. Can you perhaps open to an even deeper integration now that you’ve cleared out some of those old energies? Indeed, I can feel many of you moving deeper and deeper within this blending. When you feel disorientated upon the Earth you are shifting back and forth between this reality of the hologram and the reality of your everyday life. That conscious blending and grounding is what helps you to be fully present in whatever it is that is going on. We invite the crystalline vibration of the Omniverse to come in. As this essence moves through all the doors of who are here it’s another way for you to integrate these high vibrations. I invite you to be open to feeling that essence as it moves through you. Breathe, receive, integrate the crystalline vibration so that it will create a greater foundation within you; so that it may ground and be a part of your everyday life. The crystalline energies are what assist in opening up the telepathic communication. It opens up all your energy bodies as well as moving into teleportation or any of those experiences that you have been seeking to have. Breathe in to receive. Breathe out anything that keeps you from being fully balanced and fully integrated. Look around. The more that you have integrated this Hologram and this crystalline vibration you begin to notice different things from the people around you. You may notice on a heart to heart level that you can see the love. You may notice that within your own vibrational energy body there is a sparkle of energy and light that may or may not have been evident to you before. You literally will take on that crystalline sheen as you move into the space. I invite you to gather together as a group. As you do so you may notice there are many of the Angels and the Guides and the Light Beings here working together with this integration. As that Hologram of the Earth comes up within you look at the Earth; look at it in a way that you are familiar; look at it through the eyes of the higher vibrations and dimensions. This Hologram is very interactive. As each of you sends forth your own transformation, and also the vibration of alignment with all of the crystalline energies, it sparkles, it transforms. Some with very distinct lines become blurred and softened. It almost looks abstract in certain lights. However, as the integration continues that new high vibration with all of the clear awareness integrates within. Everything becomes infused within this Hologram and there is even more that is coming in from the other Angels and Light Beings until it hits its balance and then you release it from within the group, and that Hologram moves down. There is a piece that goes out into the Universe finding the balance within the Universe and the remainder of that goes down into the Earth. It moves through the collective consciousness of the Earth and as it does so it clears out the lower vibrations. It moves all the way down into the center of the Earth. As it does so it anchors in and then it begins to move outwards. As this vibration moves up through the Earth it’s clearing out all the energies. It’s coming up. It comes up through the grass, the trees, the water. 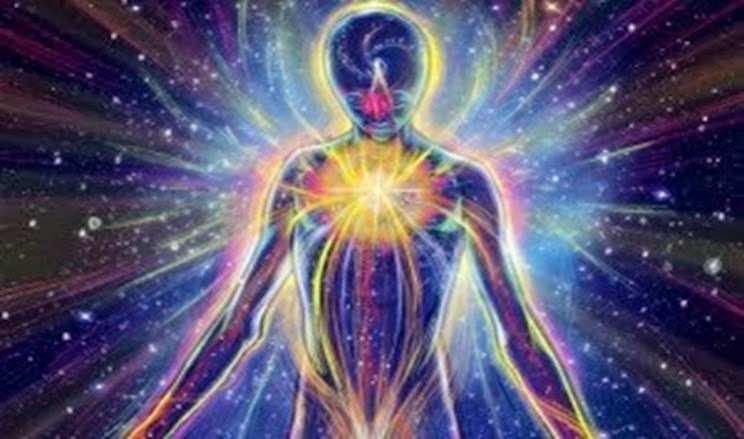 It comes up through you; through that anchor that you have in your connection to the Earth and as it comes up within you it is helping you to integrate that Hologram of your higher reality into you in this now moment. As you take a moment to just breathe it in feel your own vibration expanding as you ground it within you. So too as it’s coming up through everybody else it is opening potentials for those that as yet are unconscious of this transformation. It again clears out from within the high levels and the vibration of the Collective Consciousness giving it this greater opportunity to transform. I invite you to bring back all of that energy that is yours as your consciousness from within the All That Is. Just have the attention intention of bringing that back down within you. It moves through down into your Divinity. It comes down from your Higher Self rebalancing and adjusting the vibration so as to allow for more of this crystalline energy to be a part of yourself. It comes down washing over you. It’s a wider broader expanse of who you are. Therefore, as much as can comes down inside of you and all the rest moves around the outside. It clears out your vibration from your physical reality moving through all your organs, your muscles, your bones. It clears out your thoughts, your beliefs, your reality. It clears out your emotions and in doing so there is a greater flow that comes from within you and then it moves in and out. Take a moment to just breathe in that reality and that part of your Hologram with which you had that conversation. Tap into that so you may feel it in your physical reality. Indeed, it’s not in a faraway dimension called the All That Is. It is here now in this reality. Receive it, anchor it, allow that balance to move through you in every way. Take a deep breathe in and breathe out. Throughout the next days and weeks you are going to really begin to notice the times in which you are disconnected within yourself and the times in which you are connected with yourself. The more that things move from the unconscious into the conscious the lesser effect it is going to have because you are going to realize oh I am in balance and you bring it forward and step into the balance. Working with this hologram has created a very deep integration within you and as that integration works through its process and it becomes complete you will feel that greater balance within your life. Remember to stay in the now moment. Remember to be in the flow of the love, the light, the crystalline vibration. Remember that you are this immense transformed essence that is you. Feel the flow. Feel the love. Feel the light because you are loved.